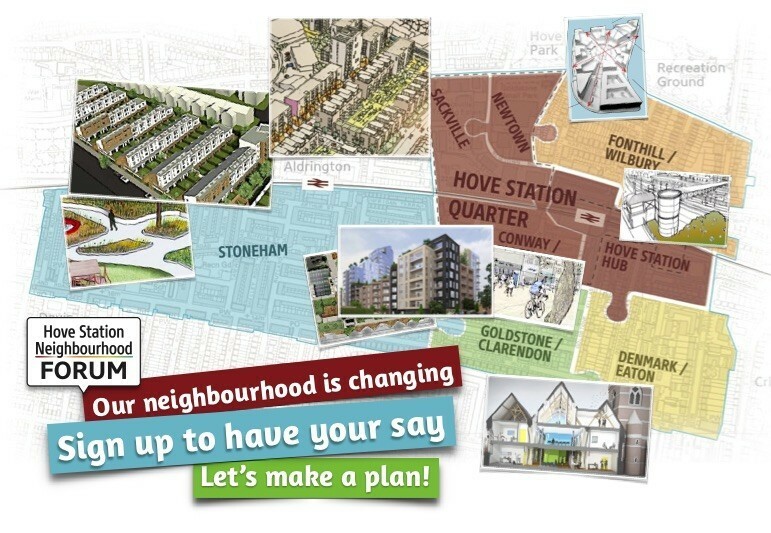 We are now in the final stages of preparing your Hove Station Neighbourhood Plan and the regeneration of the Hove Station Area is gathering momentum. Come to Honeycroft and have your say about the latest draft of your community-led plan. Let’s ensure the whole is greater than the sum of its parts! At this Have Your Say Day we will be exhibiting our FULL PLAN, plus handing out a short summary to kick off the official Regulation 14 Consultation, which runs from 23rd March to 4th May. Come and Have Your Say. What matters to you in our rapidly changing neighbourhood? Come and get your copy of the Plan Summary printed booklet, to see how it tackles the big issues around Hove Station.